Sometimes finding the right home is not about listings. It's about providing you with the right information and guidance to help you navigate the competitive Northern Virginia real estate market. Whether buying or selling, Karen Parker's approach to real estate is a personal one, entirely focused on your individual needs. Having shared her expertise on HGTV's "Designed to Sell" and "Get It Sold," Karen has the professionalism, knowledge and patience it takes to help you find the home of your dreams. A bustling suburban region, Northern Virginia is located a stones-throw away from Washington D.C. and is made up of four counties; Arlington, Fairfax, Prince William, and Loudoun. As one of the most liberal and wealthiest areas in Virginia, Northern Virginia real estate offers a wealth of possibilities to professionals, couples, students, and investors alike. It is no wonder why nearly two million people call Northern Virginia home. Karen Parker welcomes you to the area and to her website. Whether you are looking for Arlington Virginia Homes for Sale, Tysons Corner Homes for Sale, or Vienna Virginia Homes for Sale, the impeccable skills and market knowledge of Karen Parker will ensure your transaction is as smooth and successful as possible. If you are looking to purchase a home in Northern Virginia or place your home on the market, you can rest assured knowing they will guide you through every step with the utmost in customer service and care. Your options in Northern Virginia real estate are as diverse as the people who live here. From beautiful condos overlooking the Potomac River to grand estates and elegant historic homes, Karen Parker can help you navigate the real estate waters. The market knowledge which these real estate professionals possess is second to none. When you're ready to take the next step, real estate agent Karen Parker is ready to assist you. 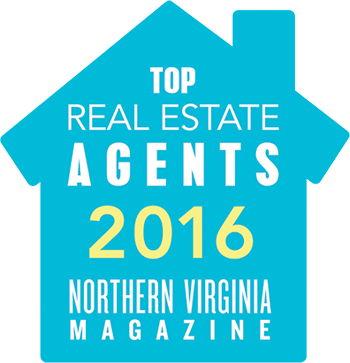 Specializing in Northern Virginia real estate, Karen Parker can help you with not only Reston Virginia Homes for Sale and McLean Virginia Homes for Sale, but homes throughout the region. Please contact her at your convenience to get started!